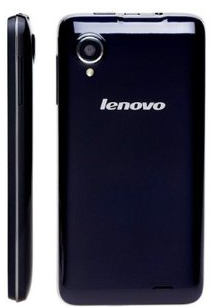 Lenovo Ideaphone P770 got listed on Amazon India with a price tag o 11,890 INR. This dual SIM phone comes with a dual core processor, which at this price range might compel many to go for quad core options from lesser brand names. Let’s take a look at what hardware this phone packs to impress consumers to look beyond the dual core. Lenovo Ideaphone comes with a 4.5 Inch IPS LCD capacitive touch screen Display with 540 x 960 qHD pixel resolution with a pixel density of 245 ppi which is slightly above average. The IPS screen should ensure good viewing angles. 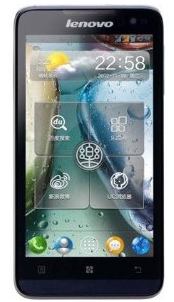 This phone is powered by a 1.2 GHz dual core processor with Cortex A9 architecture and PowerVR SXG 531 GPU. Many manufacturers are offering Quad core processor even below 10k, so this processor might appear a little sluggish to many consumers, although with a RAM capacity of 1GB this will suffice for moderate to high usage. The internal storage memory is standard 4 GB which can be extended up to 32 GB using microSD card. On the software front this phone employs Android 4.1 Jelly bean Operating system. The Li-Ion battery capacity is quite impressive at 3500 mAh and will provide you with up to 29 hrs of Talk time. This feature is much above average and comparable to the likes of High end devices. Connectivity features include GPRS, EDGE, HSDPA.WiFi, WiFi hotpot, Bluetooth and microUSB. It weighs 162 grams which is slightly heavy for a 4.5 inch display device and is 11.9 mm thick.